I wrote in a previous post about Amy and my trip to Sydney early this month as part of the delegation to the Keep Australia Beautiful – Sustainable Cities 2010 awards. However, as I have only just got my video software to work again, I have managed to put together a video of our little trip. We had a lot of fun, as you will learn as you watch it. I hope you don’t mind me sharing with you all. Enjoy the sights of scenic Sydney! Indulge me please. It is not often that I get to travel interstate with my lovely daughter, let alone attend an awards ceremony! What’s not to like about Feta? It’s is a delicious fresh cheese that is easily made at home. 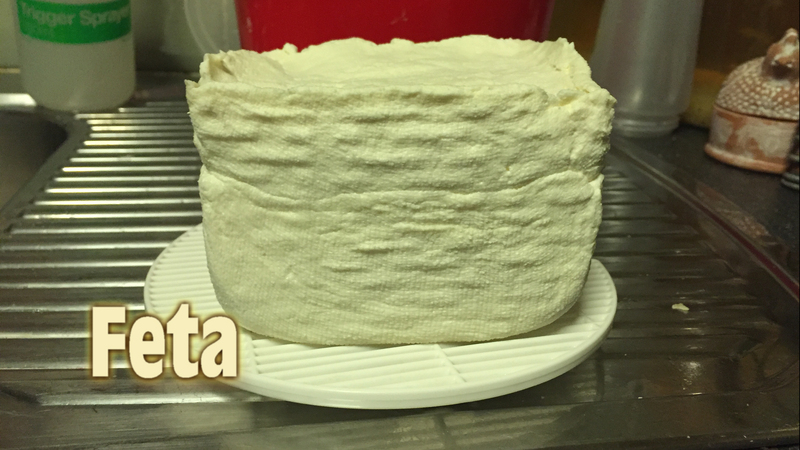 So without further ado, here is the Feta Cheese tutorial which is the next in the cheesemaking series. Feta (Greek: φέτα) is a brined curd cheese traditionally made in Greece. Feta is an aged crumbly cheese, commonly produced in blocks, and has a slightly grainy texture. It is used as a table cheese, as well as in salads (e.g the Greek salad), pastries and in baking. It can also be served cooked or grilled, as part of a sandwich or as a salty alternative to other cheeses in a variety of dishes. Now what are you waiting for? Get some milk and get cracking! 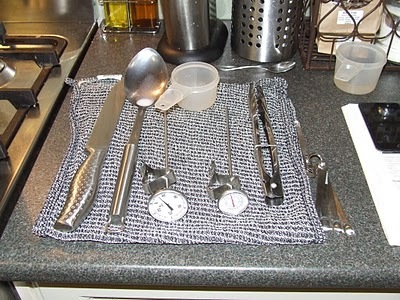 Clean and sanitize your utensils and leave to air dry. 1. Add the milk to the large pot. Stir in the lipase solution. 2. Heat milk to 30°C (86°F), then add the starter culture. Cover for 1 hour. 3. Maintaining the target temperature of 30°C (86°F), add the rennet solution and stir, top to bottom, for 1 minute. Cover and allow to coagulate for 1 hour. 4. Check for a clean break, then using your curd knife, cut curd into 1.25 cm (½ inch) cubes. Rest the curds for 10 minutes at the target temperature. 5. Stir the curds for 20 minutes, during which you will notice that they will shrink and expel whey. 6. Pour the curds and whey into a cheesecloth lined colander, and allow to drain for 30 minutes. Dividing the curds into two equal portions, ladle into 2 square cheese moulds lined with cheese cloth. 7. Fold over excess cheesecloth and stack one mould on top of the other. 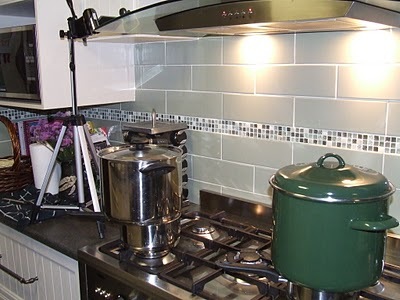 Place a 2 litre (2 qt.) milk carton filled with water on top of the second mould, which serves as the weight. It doesn’t need much pressure to form the block of Feta. 8. After two hours have elapsed, the blocks will have shrunk enough to place both together in a single mould forming one block. Cover again with the excess cheesecloth and press with the 2 litre milk carton for a further 2 hours. 9. Once pressed, add the cheese to the fully saturated brine. Leave in the brine for two days in the fridge. At the end of the first day, flip the cheese over. Wait until the end of the second day, then enjoy the finished Feta. For those of you who want to make this delicious cheese at home, then take a look at our Feta Cheese Kit over at Little Green Workshops. It has everything you need to get started. Why Just Make One Cheese…. ….. when you can make two at the same time! Not wanting to brag, but when you are on a roll, go for it I reckon. Feta on the left and Caerphilly on the right. I have two 8 litre pots, so it all works out well. I am glad that I went ahead and bought a second thermometer. 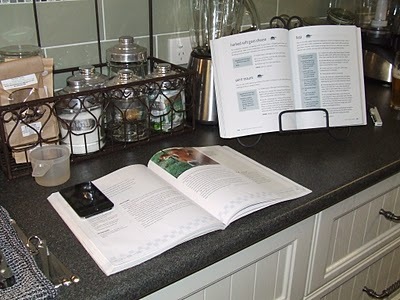 I needed a C/F dual scale one so that I didn’t have to convert all of the recipes out of the Home Cheese Making book by Ricki Carroll, which only features temperatures in Fahrenheit. With both cheese books on the go, I had to remember which recipe was for which batch on the stove! I had to stop myself a few times just to make sure I didn’t stuff up. In addition to the Feta and Caerphilly, today I am still in the process of making Wensleydale. It would have to be the longest cheese making session out of all of my recipes. I started at 1300 and still have about an hour to go at 1945. However, time period aside, it is one of the best cheeses in my repertoire. As I am still working on the two tutorials that I filmed, there are no pictures of the actual finished product. So this short post was just to whet your appetite, so to speak. A three cheese weekend!